Episode 14 of The Medieval Podcast – These days, there are many different ways to be a historian outside of academia. 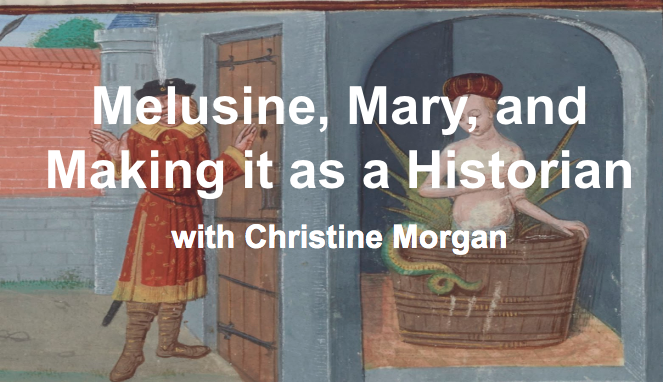 In this episode, Danièle speaks with Christine Morgan, creator of Untitled History Project, about her latest work on the famous fairy Mélusine, Mary Boleyn, and making it as a historian off the tenure track. For a more in-depth look at the Mélusine legend’s influence on the life of Joan of Arc, please see Nancy Goldstone’s The Maid and the Queen: The Secret History of Joan of Arc.